Coastline is a photographic project that presents human life along the Chinese coast as well as some of its impact on the natural environment. The artist is interested in portraying emotional conflict and exploring the consciousness of his generation. 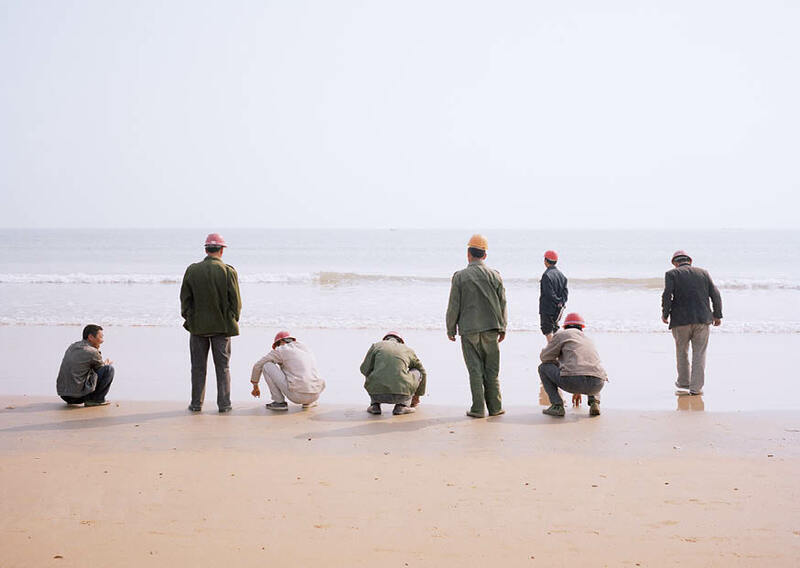 This image presents a group of construction workers in Shandong coming into contact with the sea for the first time.